Set of 8, one of each color. 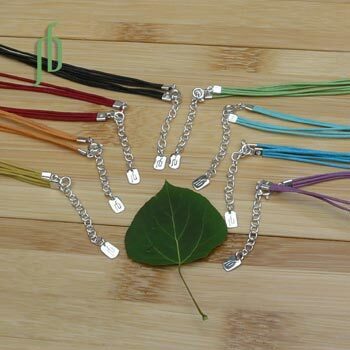 Smooth waxed cotton 3-string necklaces have an adjustable sterling silver clasp from 16-17" (40-42 cm). They are ideal for use with our pendants. Soft and durable. Sterling silver and waxed cotton. Made in Thailand.